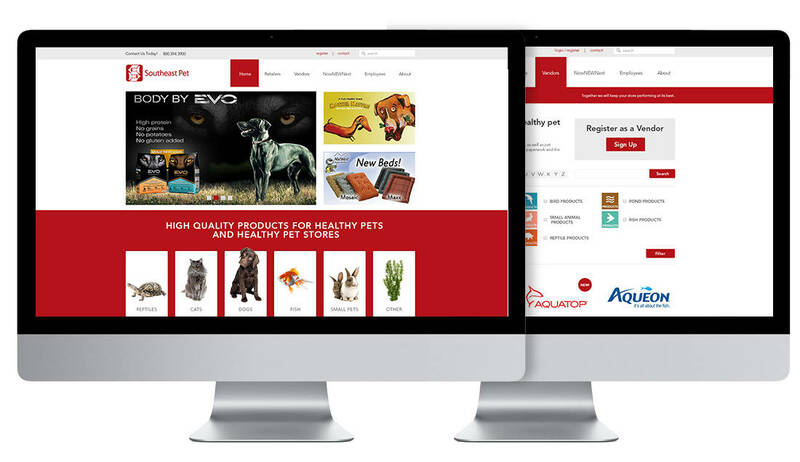 Based in Metro Atlanta, Southeast Pet’s 133,000 square-foot distribution center supplies retailers in six southeastern states with the pet products and fresh ideas retailers need to stay competitive in this fast-changing pet industry. They came to us to because their current Drupal website was outdated and causing them to lose business. We revamped their whole website with a complete UX/UI redesign. We then created a custom retail order management workflow, simplifying the buying process. We also implemented custom Red Leaf eCommerce API integration for retailers.